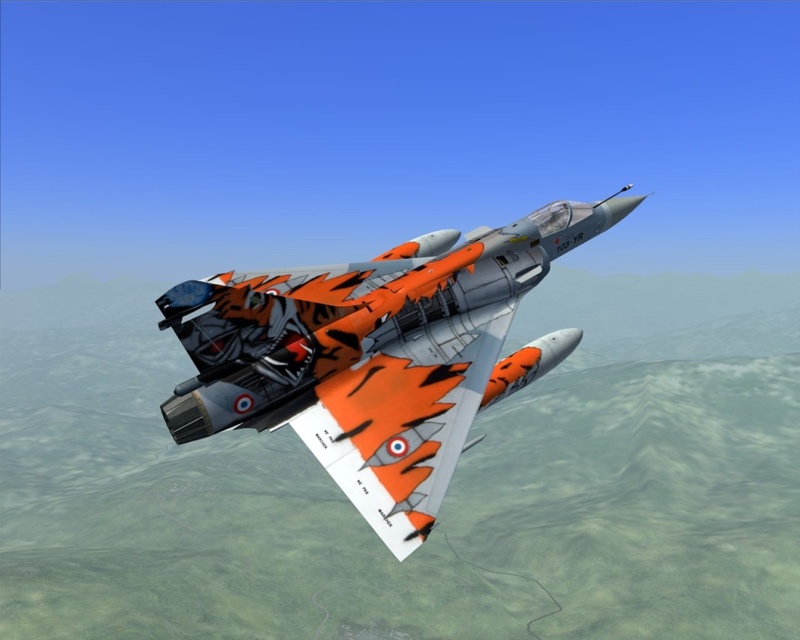 The AP Mirage is a small Delta Jet with a wingspan of 520 mm (20.47 in). 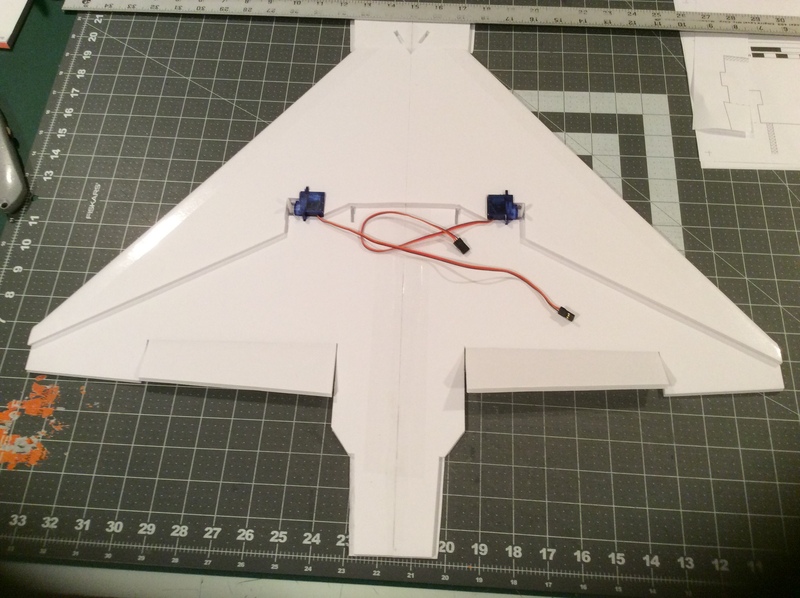 The Wing has a KFm-2 based airfoil. It is an easy build with a few parts. 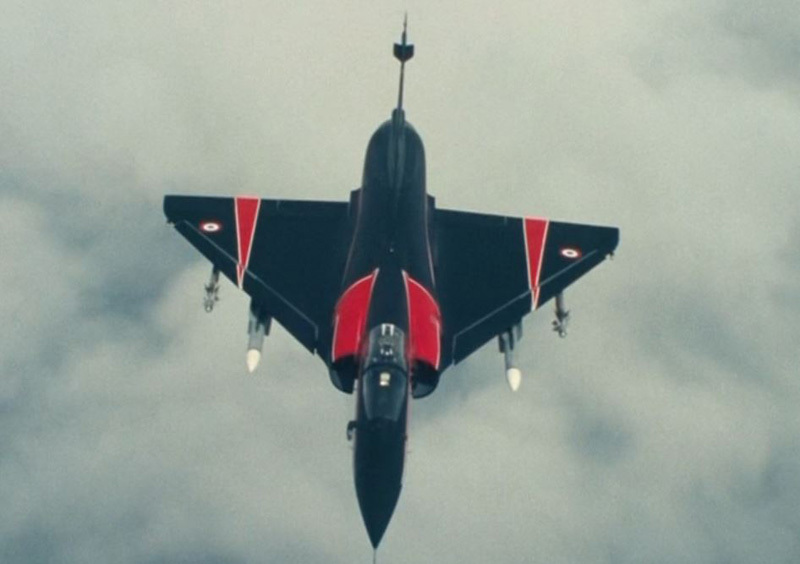 The Mirage can be built either with a 50 mm EDF unit or as pusher prop version. For the pusher prop version, simply use an FT Mini Firewall and a FT Power Pack A or F. The weight with an F-Pack motor and a 3S 850mAh battery is approx. 286 g. With a 3S 50 mm EDF unit I had about 336g. 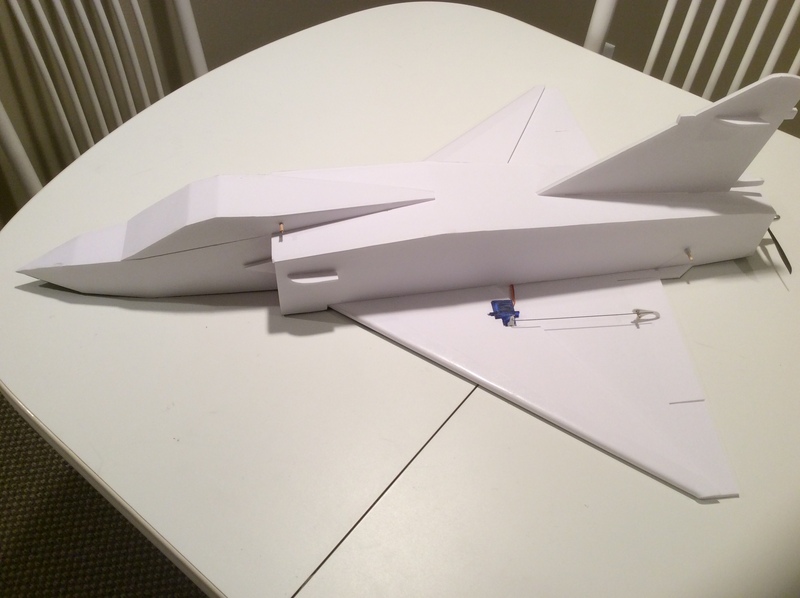 The weight of the parts shown in the photos is 95 g.
I had no time for the maiden flight, so Grifflyer build it and did a maiden flight - THANK YOU! Looks very fancy, maybe you could add the intake cones because those are a distinctive feature of the real one and would do a lot for the scale look? Can you share plans? I would like to give it a try as a pusher with a 2200kv motor and 1300 3s. Would be closer in weight to your EDF setup. @Fluburtur: You're right! 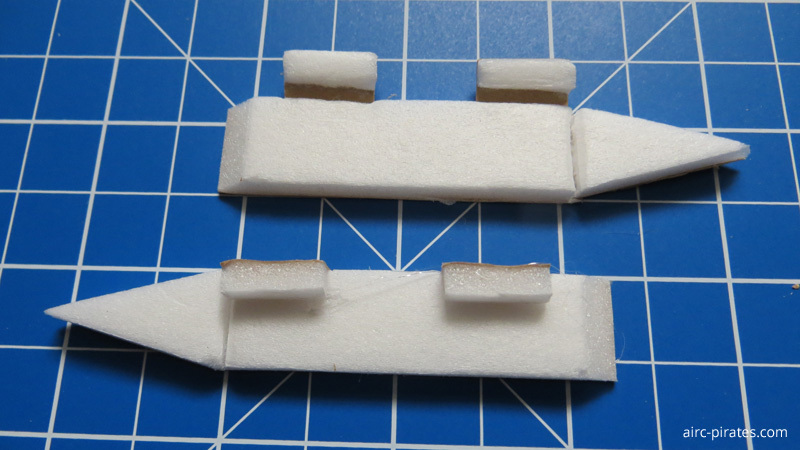 I have retrofitted the air intake cones and added a few plastic scale parts to the vertical stabilizer and the outside of the air intakes. @jpot1: I'll email you the plan of V0.2 and look forward to feedback! On the search for a servo based dropping device I found it at youtube (function test at 8:50). All you need is a servo, steel wire, a thin pipe and hot glue. 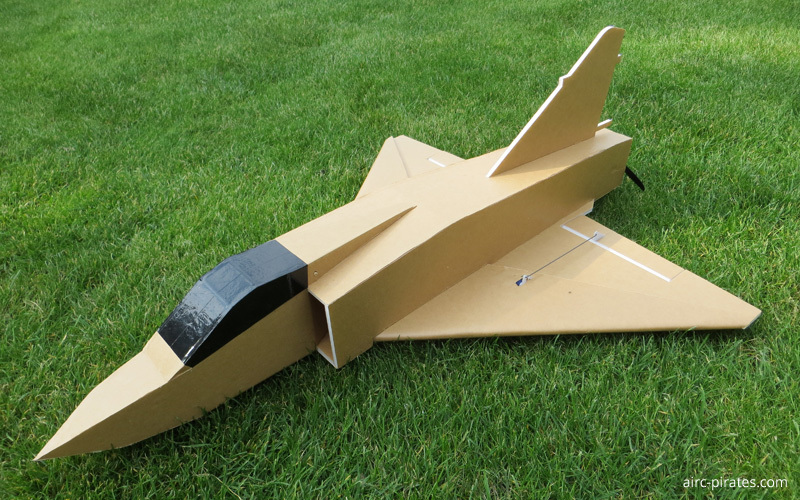 I'll test it with a fuel tank under the Mirage, which I have to drop off before the belly landing. 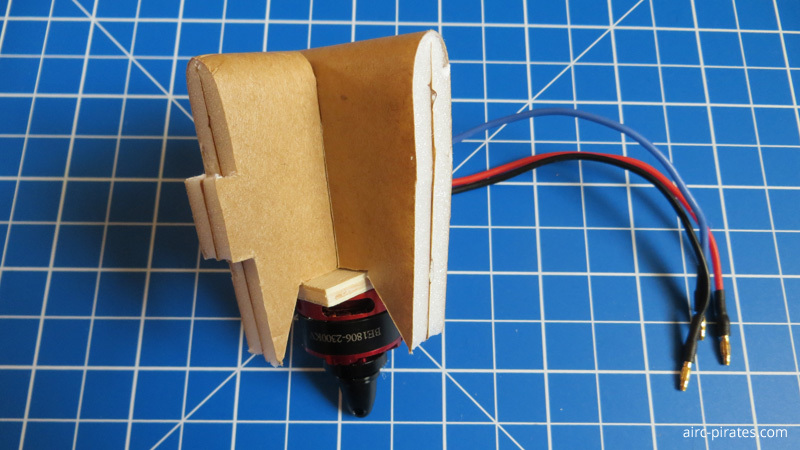 Here the V0.2 (FT Power Pack F compatible electronics) with the scale parts made of plastic card and the fuel hose made of foamboard wit reinforcements made of hot glue on the cutting edges. Since the ESC was defective, I had to cut a maintenance opening in front of the vertical stabilizer. The exchange went off without a hitch. V0.3 is also ready. Here I used FT Power Pack A compatible electronics. 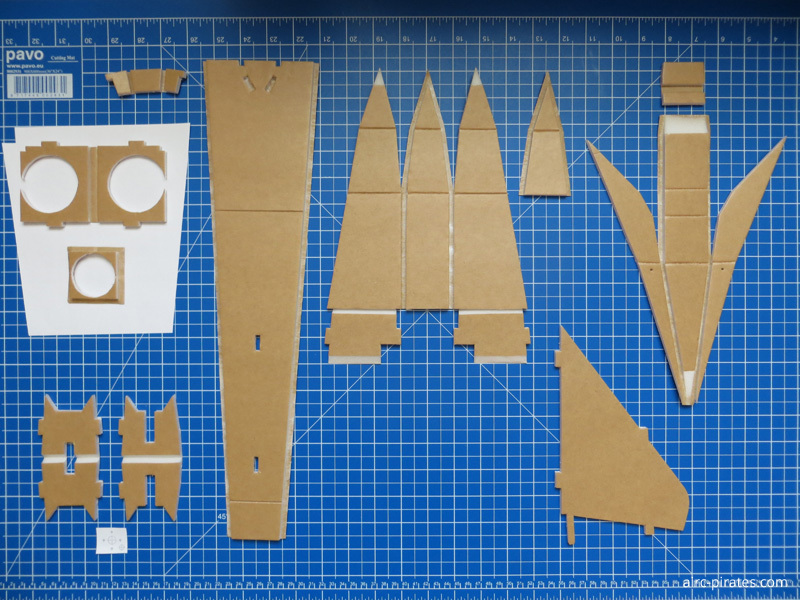 All scale parts are now made of FT Foam Board. The stickers are made of adhesive foil. 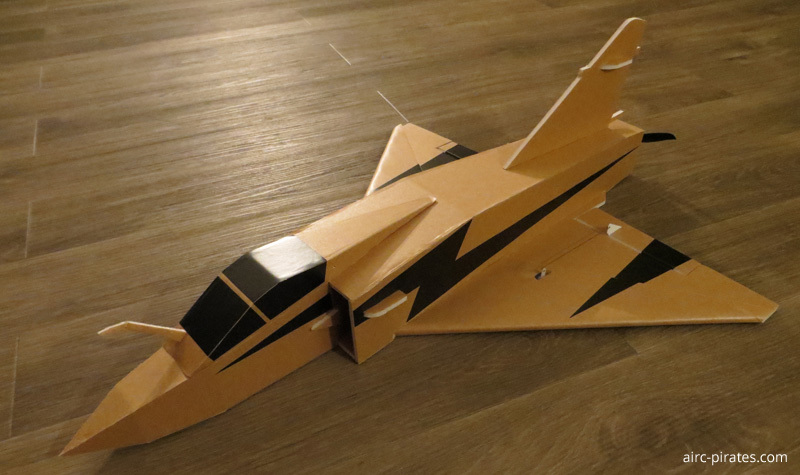 Very nice, do you have a video of it flying yet? V0.3 looks great. I started the beta build by enlarging to 120% based on the electronics I have. This puts it at similar dimensions to the FT22 so I’m hoping my 2200kv 50g motor and 1300 3s will work well. Ended up splitting the main wing down the middle and gluing together. 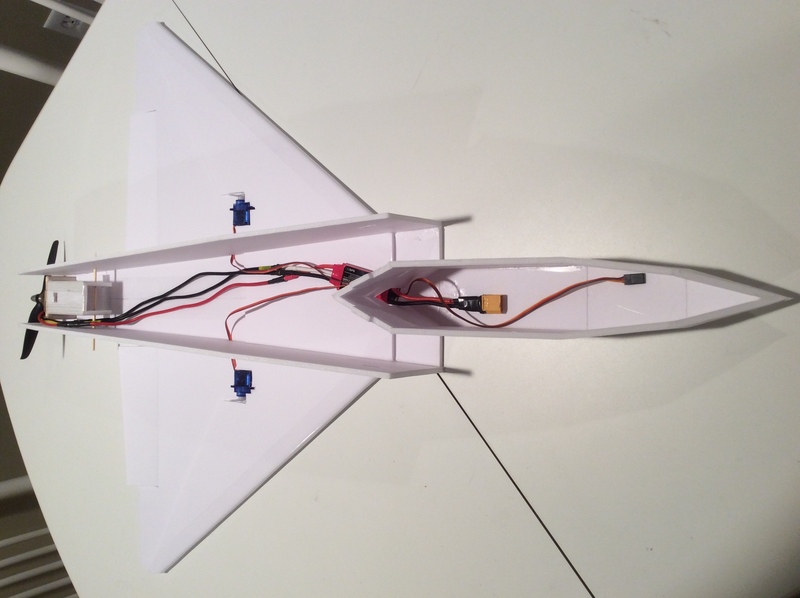 Using 9g servos so I couldn’t hide them fully in the wing. More progress tonight. Build goes together very quickly. I’m using a smaller FT style power pod but there is actually room for a full size pod. My only question is for these air intake pieces. I’m pretty sure I understand them but if you could take a close up pic of yours that would be great. 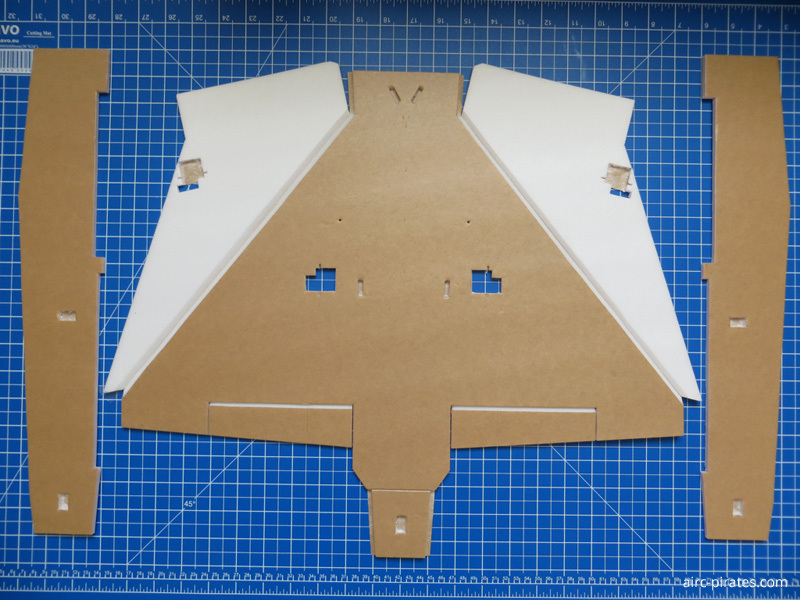 There is a lot of air left and right between the side walls and the Mini Powerpod, which should be filled with some foam plate to position the pod firmly. The integration of a Mini Powerpod in this "+ mount" should not be a problem. That's what I'm going to retrofit, and then the Mirage is even Swappable! 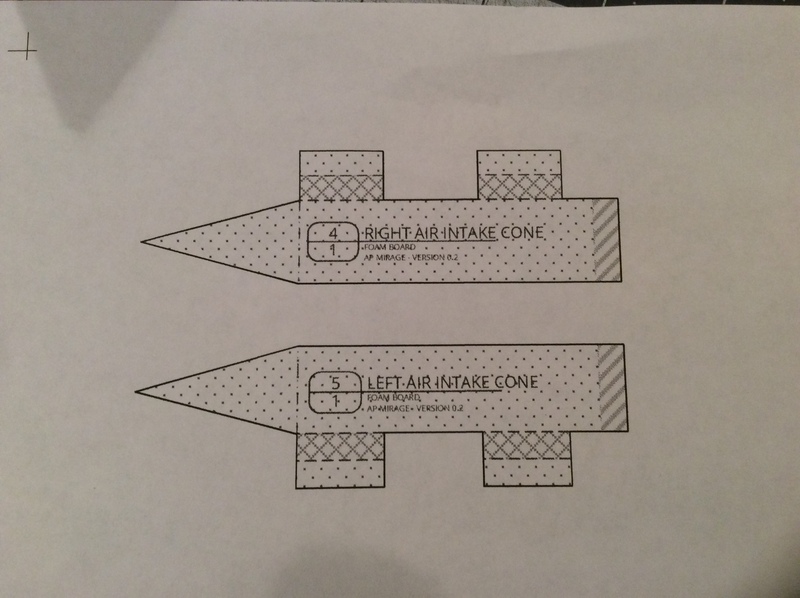 Perfect, that is what I had thought regarding the air intakes. 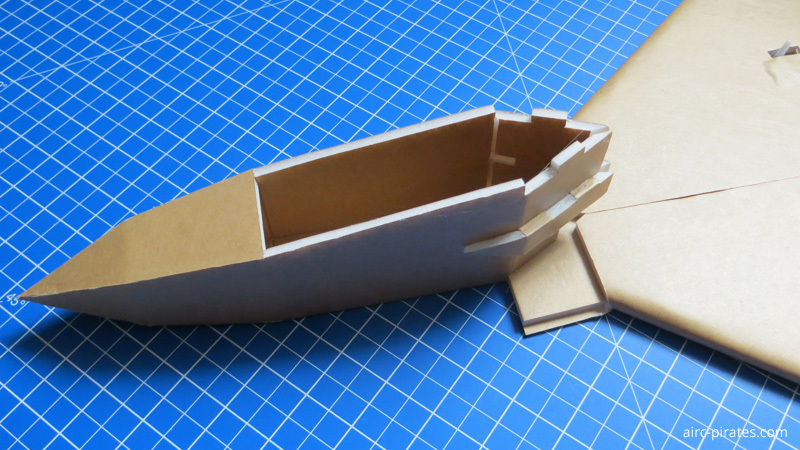 Before I add any more foam to the rear of the plane I’m going to finish cutting the pieces and dry fit to check the CG. I want to make sure I’ll have enough nose weight with the battery to offset the 50g motor. 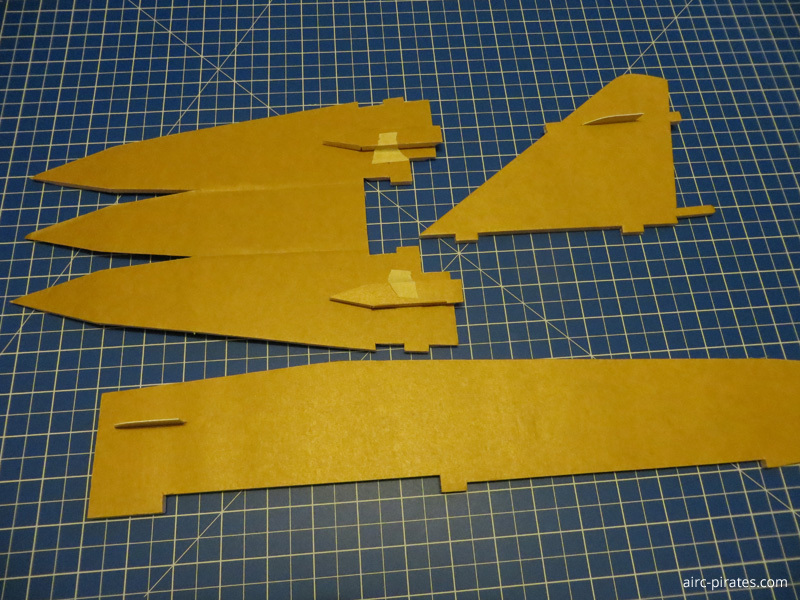 … Before I add any more foam to the rear of the plane I’m going to finish cutting the pieces and dry fit to check the CG. 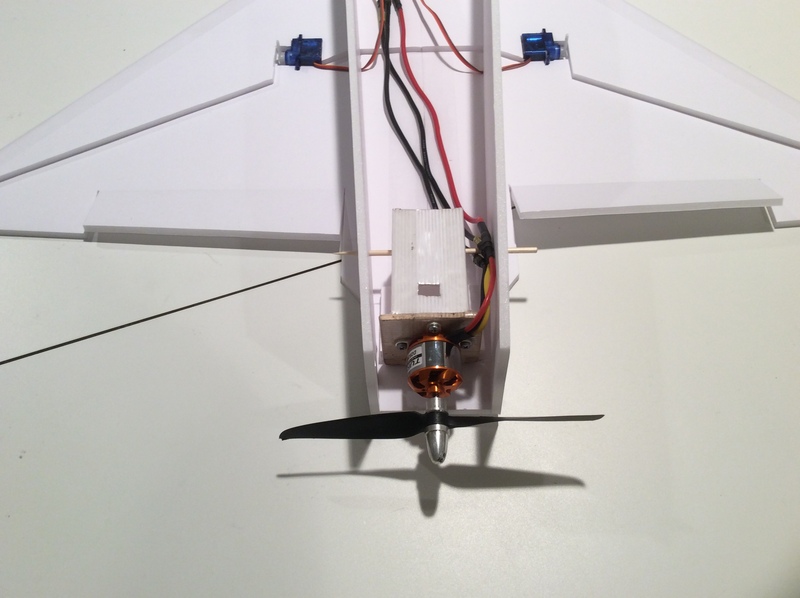 I want to make sure I’ll have enough nose weight with the battery to offset the 50g motor. Maybe this weekend I'll come to fly and create a video. 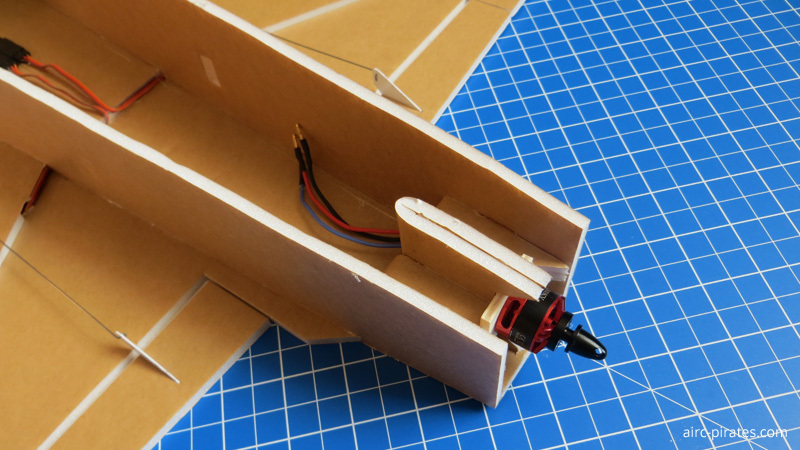 You can design and build when it's dark outside, but fly? Maybe I should just retrofit position lights! Yeah you should just get a bunch of high intensify LEDs and stick them in the nose as landing lights. Finished the build tonight. 120% build weighs in at 470g with a 1300 3s balanced perfectly. This looks great! 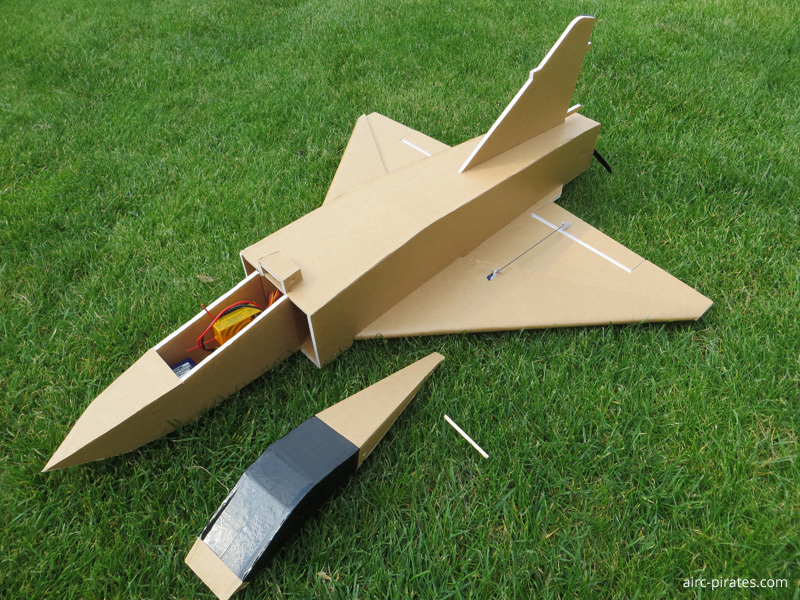 Good luck on the maiden flight! Maiden done. Only had time for one battery. This plane is a bit touchy. I think it is nose heavy as I used all of my elevator trim to get her stable. Only flying between half and three quarter throttle in the video. School yard was too small for this flight, spent the majority trimming it out. You definitely do not need a lot of aileron throw. This will be a lot of fun once dialed in. Great build Tony! 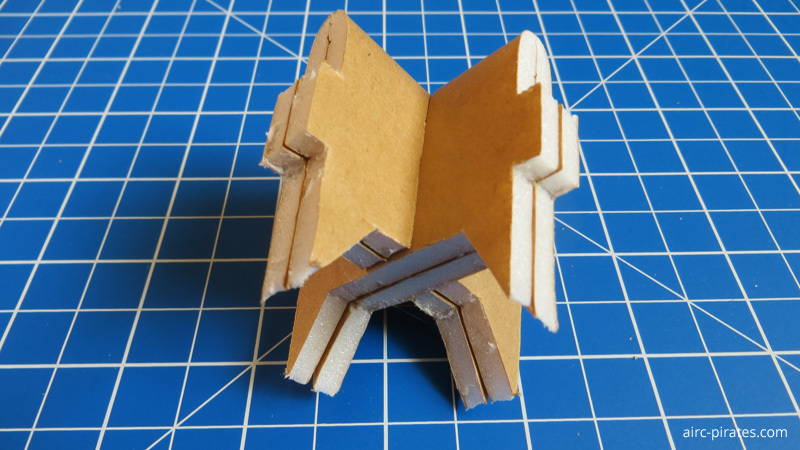 Now I just have to find the time to include the Mini Power Pod for a Swappable Mirage and the plan can be published. By the way: I also ordered a Turnigy D2826-6 2200kv Outrunner motor from HobbyKing and will upscale the Mirage to give the FT-22 a new opponent.